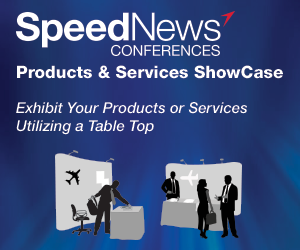 For the 33rd year, SpeedNews presents its Annual Commercial Aviation Industry Suppliers Conference in Beverly Hills, California, on March 4-6, 2019. This Conference will provide delegates – equipment manufacturers, material suppliers, aviation industry analysts, financial institutions, and marketing executives – with important updates about the commercial aviation industry. Aircraft and engine manufacturers will present status reports on product strategies and market developments. Industry experts will present production and delivery forecasts and review the current economic status of the industry. Supply chain management, maintenance and subcontractor issues will also be addressed. A special rate is available for delegates who are also interested in attending the SpeedNews 9th Annual Aerospace Raw Materials & Manufacturers Supply Chain Conference on March 4, 2019 at the same venue. You will see the option to register for both Conferences within our online registration form. For additional information, email Joanna Speed, Managing Director, or call +1-424-465-6501. The Gilbert W. Speed Award recognizes the individual who demonstrates outstanding leadership and collaboration across the global aerospace & defense supply chain. The award honors the vision and values embodied by Gil Speed's career in aerospace, and as a leading publisher of information, media and event products designed to share knowledge, build relationships and improve the effectiveness of the industry. Previous award winners include: David P. Storch, Chairman of AAR; Scott A. Smith, President of AMI Metals; and Jim Downey, Co-Founder of EnCore Aerospace, and Stephen Gill, Chairman & CEO of The Gill Corporation. The awardee for 2019 will be announced on March 5th, at the 33rd Annual Aviation Industry Suppliers Conference.